Getting braces can be an intimidating experience for some patients. They often have lots of questions about how the process works, how long it takes, how it will affect their lifestyle, and more. 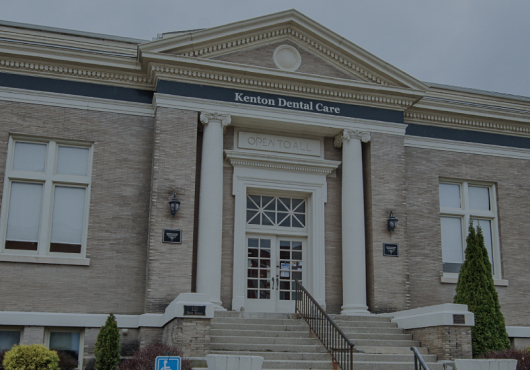 At Kenton Dental Care, we want you to feel comfortable and confident while receiving your orthodontic care. 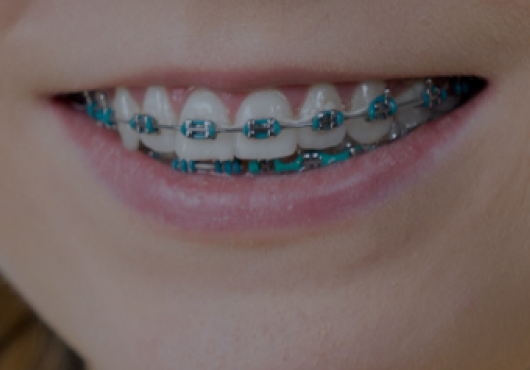 Explore our guide to learn more about braces and what they can do for your smile. The process begins when you meet with our orthodontist for a consultation. We’ll talk to you about your smile goals and review your orthodontic records. We’ll also use our CEREC® Omnicam, a small intraoral camera, to create a digital impression of your smile. Dr. Catherine Yazar or Dr. Mustafa Yazar will use this information to develop your treatment plan. After your plan is determined and you’ve chosen which type of brackets you’re going to wear, we’ll create your braces in our lab. That way, they’ll be ready to place during your next appointment. Just like that, you’ll be on your way to a new smile. Braces move your teeth into proper alignment by exerting a constant, gentle force in a precise direction. The technology for braces has come a long way — clear brackets are now available, wires are far less noticeable, and advanced materials allow them to work faster than ever. The duration of treatment for braces will vary depending on several factors, including your age and the exact nature of your case. The typical time range is one to three years, but you can reduce your treatment time by starting at a young age and by diligently following instructions during your treatment. While you can eventually return to enjoying all the foods you love, there are some you’ll need to avoid while wearing braces. You’ll want to stay away from hard or crunchy foods such as apples, nuts, popcorn, chips, and corn on the cob. Also, avoid sticky foods like caramel and chewing gum, as well as chewy foods like bagels and licorice. If you’re an athlete, you can continue to play sports at your usual level. However, you’ll want to wear a mouthguard in order to protect your braces, as well as your teeth. It’s normal for your lips and cheeks to feel a little sore for a week or two after receiving braces. This should dissipate quickly, but you can reduce the pain by gargling warm salt water or taking a pain reliever. We can also give you wax that helps relieve tenderness. When you begin your orthodontic treatment, your teeth will start to feel loose. Don’t be concerned, as your braces have to loosen your teeth in order to reposition them. 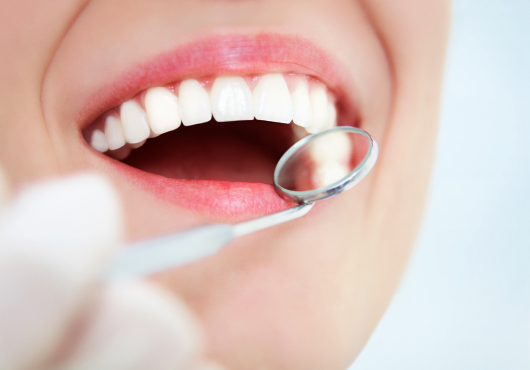 Once your teeth are properly aligned, they’ll no longer feel loose. What do I do if my wires are loose, or if they fall out? If the wires on your braces come loose, contact us right away so we can fix your appliance. Make sure to bring any piece that falls out to our office with you. If a loose wire is irritating your lips or cheeks, cover it with wax or a wet cotton ball. It’s very important to brush your teeth after every meal when you’re wearing braces. Brush gently but thoroughly, covering every area of your teeth and gums. Make sure to use toothpaste that contains fluoride. You should also floss after meals using a floss threader or special orthodontic floss to thread between each wire. What’s the best age for getting braces? The sooner a patient is screened for orthodontic care, the easier it is to provide the necessary treatment. That’s why the American Association of Orthodontists recommends that children have their first orthodontic consultation around the age of seven. But braces can be an effective treatment for adult patients as well. In fact, one in five orthodontic patients are over the age of 21. If you have braces, it’s essential to visit the dentist at least twice a year. They’ll remove debris that can get stuck in your braces. Your dentist will also provide preventative care to protect your smile. To schedule an appointment, all you have to do is call our practice at (419) 673-0706. Or, you can fill out our convenient submission form and a member of our team will get right back to you.